1000s of Senior Passes Expiring in 2017! 300,000 passes will come up for renewal between now and March 2018, which could mean long queues at Bus Station Travel Centres if all pass holders choose to renew there. Senior Passes can be renewed online up to 3 months in advance, and a family member or friend can renew on someone’s behalf if needed. It’s quick, free and easy and saves travelling into the city or town centre. 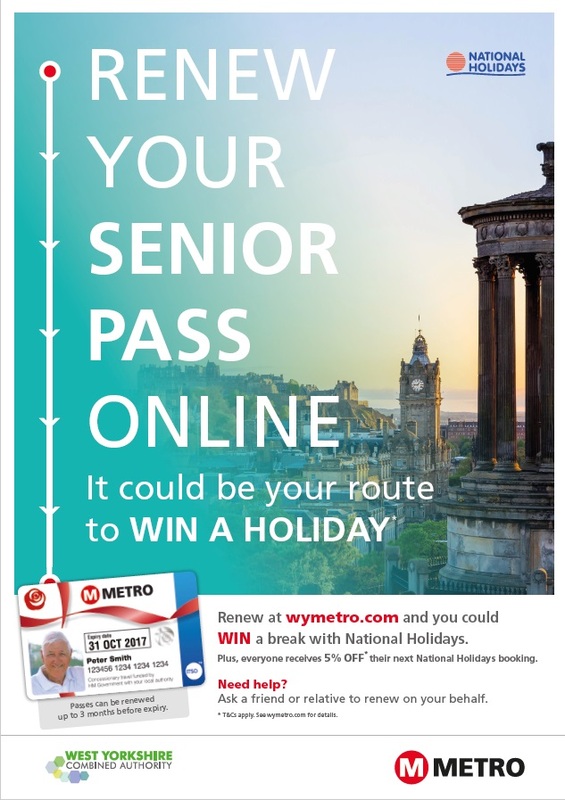 Simply visit www.wymetro.com/ticketsandpasses to renew online. Those people who have no way of renewing online can apply for or renew their Senior Pass only one month before expiry at Bus Station Travel Centres.